This is a quilt I made a couple of years ago! It is so soft and warm and makes me smile. I designed the pattern myself. It is just squares, but I did a cool thing with the shading of the colors from right to left and top to bottom. I hand stippled diamonds on the corners of each square. It took me about 8 months. 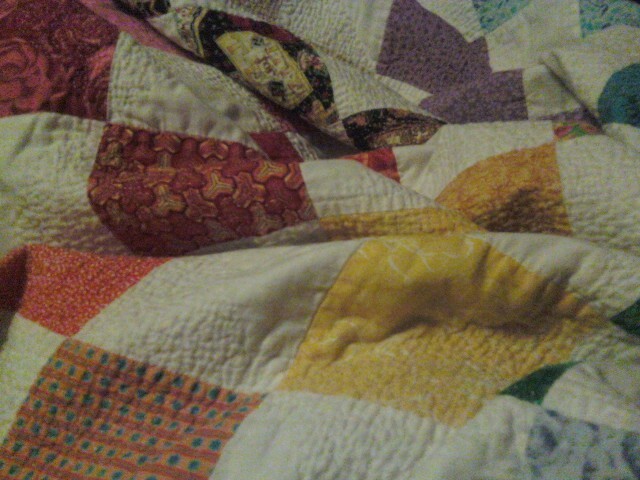 I am a hand quilter so every stitch you see, was done by hand individually!